Traditionally, formaldehyde and phenol containing adhesives are used in wood products such as laminates, laminated veneer, and plywood. There is a drive from wood product manufacturers and society to find safe and bio-based alternatives to these expensive, toxic and oil-based adhesive components. The Act on Public Procurement that was enacted at the beginning of the year 2017, highlighting these environmental considerations, is another important driver. VTT has created CatLignin technology to produce reactive lignin from pulp industry side streams currently in use for energy production. Due to its higher reactivity, CatLignin can be a perfect replacement for phenol in phenol formaldehyde resins and might become an innovative, high-value product for pulp mills. Additionally, the CO2 footprint of lignin is only about 20% of the footprint of phenol. Resins have a major influence on CO2 footprint of engineered wood products. For example, in plywood almost half of CO2 footprint is caused by the use of resin. Replacing phenol with lignin also reduces the use of formaldehyde. To put this in context, currently six million tons of phenol formaldehyde resins are produced annually. The suitability of lignin for a variety of applications has been investigated for decades, but only now we have found a way to use it as a phenol substitute in significant quantities in resins. VTT's CatLignin technology represents a technological leap, offering new business opportunities to many industrial players. 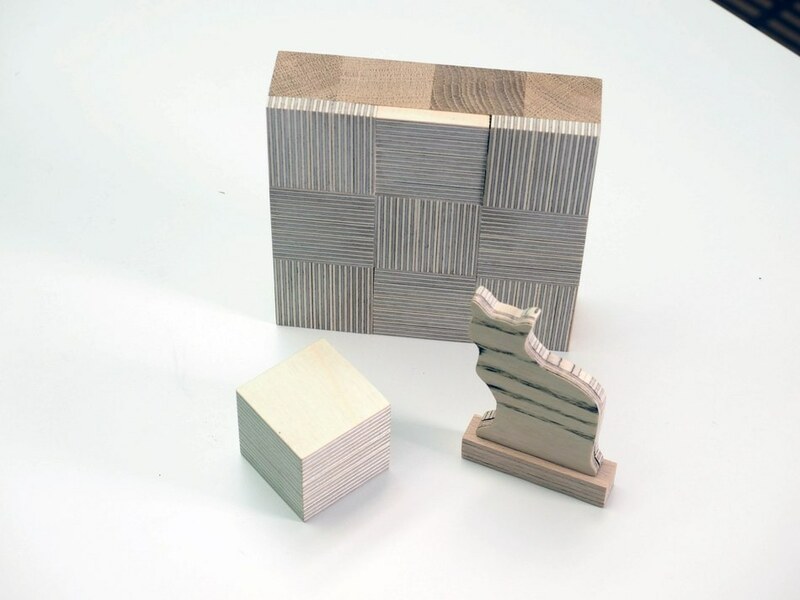 This innovative material offers new business opportunities to the whole value chain, from lignin producers to wood product and adhesive manufacturers and end-users. These include, adhesive, pulp mills, laminate and wood product manufacturers and their customers, such as furniture and kitchen cabinet brands. This technology is ideal for actors who want be the forerunners in bringing 100% bio-based engineered wood products to the market. We are actively seeking partners for the next steps in technology upscaling. The reactive lignin manufacturing technology can be incorporated into pulp mills. Unlike current technologies, this process can modify the lignin structure that is already at the pulp mill. Lignin structure can be customized and therefore, it can be optimized specifically for each application. The CatLignin material has the potential to become a substitute for a broad range of fossil-based chemicals in various applications, such as rubber, adhesive, and plastic. The antioxidative properties of the CatLignin material are expected to enhance weather resistance by reducing the requirement for fossil-based and expensive additives that are used today. In the New Tree 2017 competition conducted in Finland on 1st February 2017, the CatLignin technology won the resource scarcity category together with another VTT technology LigniOx concrete plasticiser solution. The competition jury – which included experts from forestry and environmental sector together with economic and societal experts, and Members of the Parliament of Finland – were very much impressed by the economic potential and societal importance of the technology. The development of the Catlignin technology is underway and this project is funded by VTT and Tekes, the Finnish Funding Agency for Innovation. This technology has already created a great deal of interest throughout the entire value chain and VTT is currently looking for new partners to help upscale and commercialize the technology.